KAMPALA – Makerere University Academic Staff Association (MUASA) has awarded outstanding members and key stakeholders for supporting its agenda, activities/programmes and vibrancy. This was during the MUASA end of year party held on the weekend at the Senior Staff Canteen, at the university. 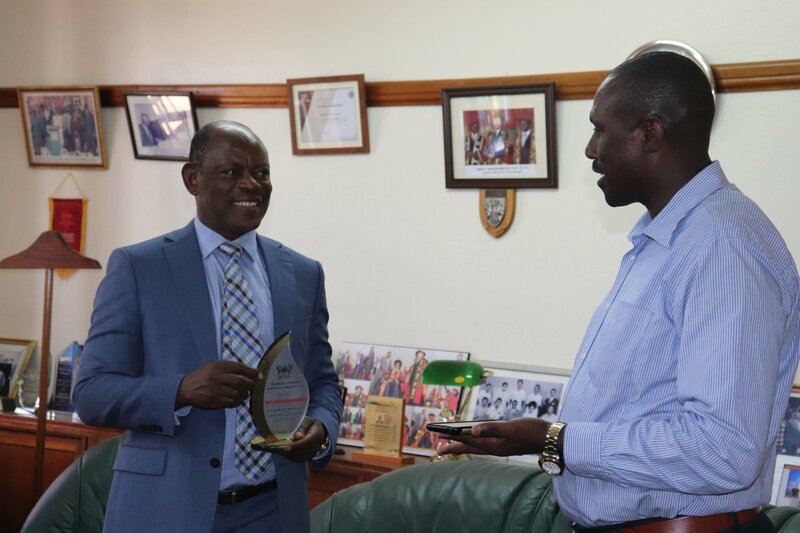 MUASA recognised the Vice Chancellor of University, Prof. Barnabas Nawangwe as the outstanding personality towards supporting MUASA activities. Prof. William Bazeyo, the Deputy Vice-Chancellor (Finance and Administration) was recognised for the excellent service as the most globally decorated member for the Year 2018. Dr. Sarah Ssali was awarded as the most active senior female MUASA member. Dr. Ssali is the Dean of the School of Women and Gender Studies at Makerere University. She has served as the MUASA representative to the University Council for 8 years. Dr. Paddy Musana received an award in appreciation of his efforts as the male long-serving MUASA member. Dr. Alice Merab Kagoda received the award in recognition of her efforts as the female long-serving member. Mr. Keith Muhakanizi was awarded for supporting higher education in Uganda. The award in recognition of the young star that is supportive of MUASA activities was given to Ms Lilian Mbabazi. Speaking at the party, the Chairperson MUASA, Dr. Deus Kamunyu Muhwezi appreciated MUASA members for their cooperation and called upon them to continue with the hard work to ensure that students at Makerere University get a high-quality education. “Our children must have the best education that is why we must work hand in hand with the Vice Chancellor, Principals, Deans and Heads of Department to produce the best graduates worldwide,” said Dr Muhwezi. He highlighted some of the MUASA achievements for the year 2018 as follows: The Vice-Chancellor setting up a Common Good Committee to discuss the Common Good Allowances, setting up of the MUASA book bank, as well as an operational MUASA SACCO.